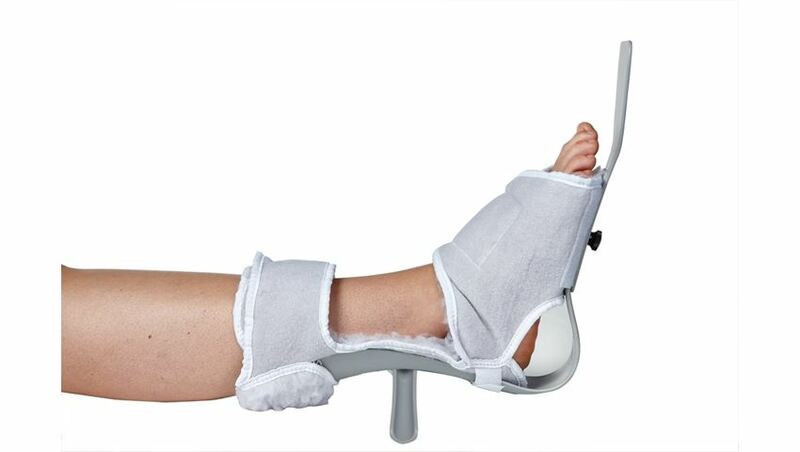 The affordable contracture and wound care boot. HCPCS Code: L4398. 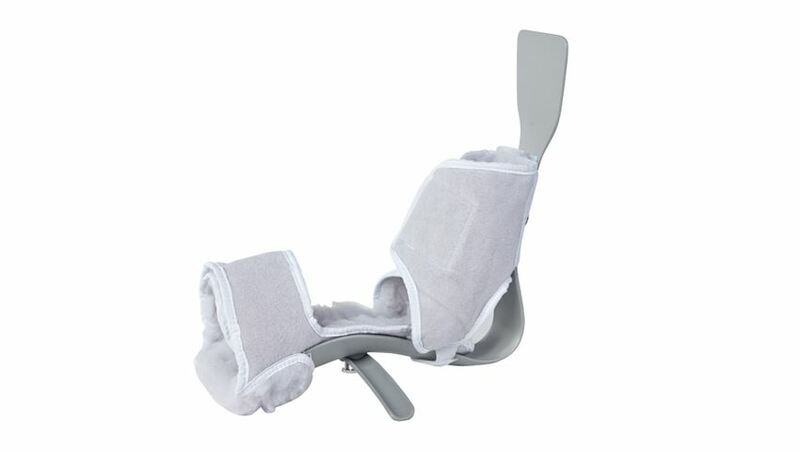 AliMed MultiBoot™ Standard The affordable contracture and wound care boot, rovides maximum heel pressure relief with the added benefit of footdrop protection. The semi-flexible shell is sturdy enough to protect against footdrop yet allows enough flex for limited ambulation (with outsole in place) for even the individual with lower extremity weakness. 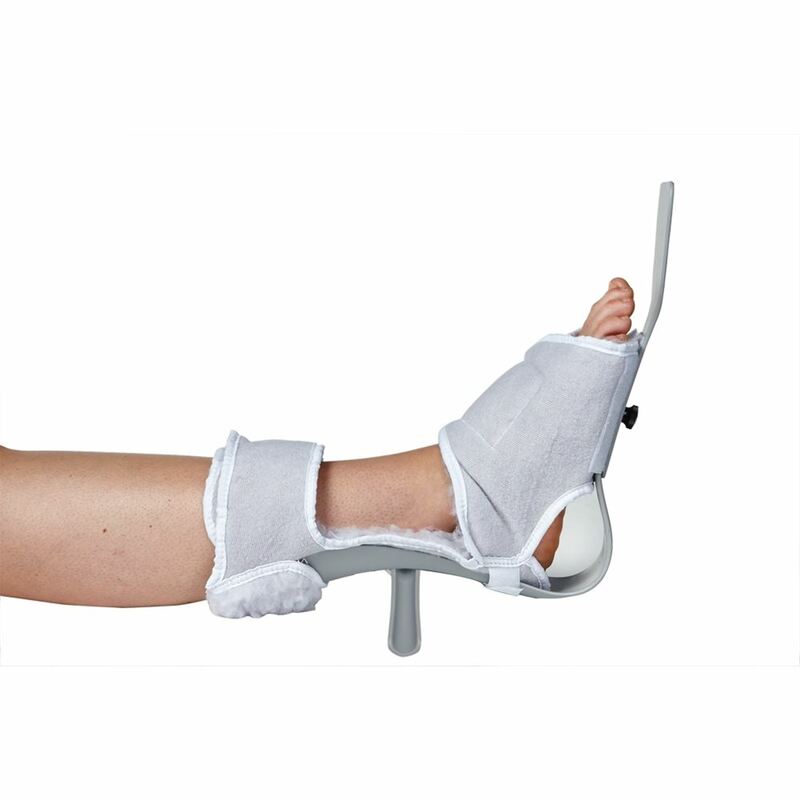 The fully aerated heel aids in wound healing and even accommodates dressings. Anti-rotation bar aids in positioning by limiting unwanted rotation of the hip. Toe plate keeps bedding off the toes, limiting the risk of skin breakdown or contracture. The Standard liner attaches securely to the MultiBoot's backbone, swaddling the foot in soft fleece. This airy, padded lining improves patient comfort and compliance. The Deluxe liner (available in Med/Lg. 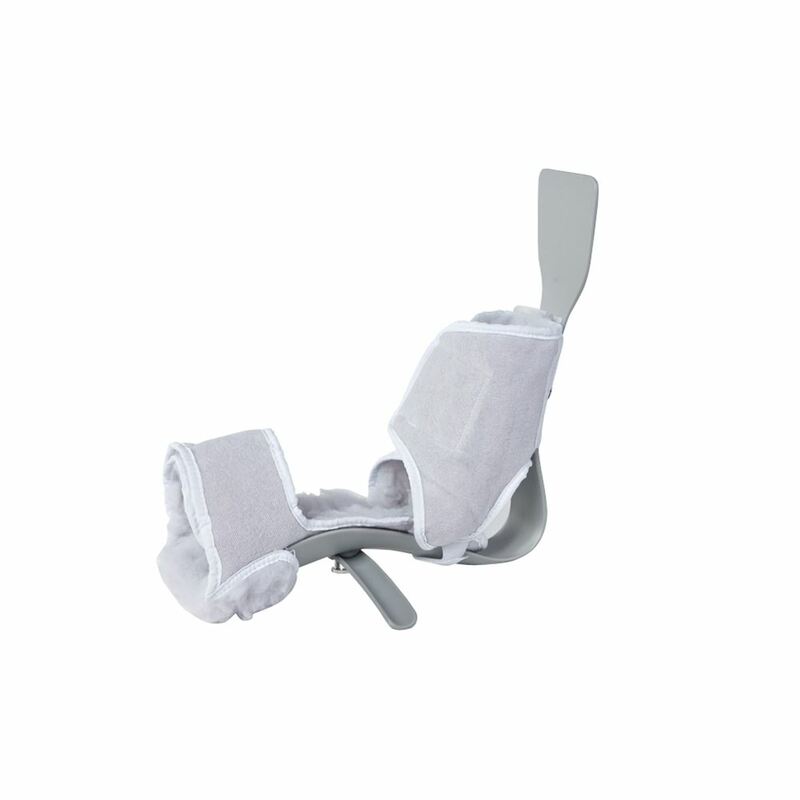 size only) is wider and offers extra padding, making it ideal for patients with extremely fragile skin that is susceptible to bruising and skin tear. The New Genuine Wool Liner is best for fragile and sensitive skin. Wool wicks away excess moisture for comfort in warm or cold temperatures. This fully washable liner is mildew- mold- flame- and dust mite-resistant. HCPCS Code: L4398. Use of suggested code does not guarantee reimbursement. Check with local DMERC for specific requirements. Sizing: Measure length of foot from bottom of heel to top of big toe. Photo on left is MultiBoot Standard with Fleece Liner. Photo on right is Multiboot Standard with Genuine Wool Liner. The MultiBoot family of podus-type boots offers a range of special features that help prevent footdrop contracture. The fully suspended heel design and comfort-quality construction provide pressure relief to aid in wound prevention and healing. Choose the MultiBoot that fits your patients’ needs. MultiBoot X-Cel™ is best when limited ambulation is expected. The easy-on, easy-off outsole is secure and resists unstable twisting. The synthetic fleece liner is generously cut to offer comfort as well as maximum foot and ankle coverage and protection. Use this boot if balance and stability are a concern. MultiBoot Xtra™ The newest member of the MultiBoot family brings skin protection to a whole new level. The breathable, moisturewicking liner keeps fragile skin cool and dry, using revolutionary spacer fabric to comfortably cushion the entire foot and ankle. Spacer fabric provides unbeatable comfort and airflow, and won’t compress over time. The comfort and skin protection of MultiBoot Xtra is further enhanced by the liner design. Full coverage of the spine (top and bottom) essentially eliminates the risk of cross-leg injury. Added cushioning under the calf (which ensures protection of the fragile Achilles region) and the generous padding and secure attachment of the shin and foot/ankle straps maximize this boot’s comfort and effectiveness. The Xtra model offers safe transfers due to the flat, nonskid toe-plate attachment knob. When in place, the knob provides a safe transfer point for pivot or step transfers. When the knob is removed, there is no residual screw, only the flat base of the MultiBoot spine, so the risk of a fall during an unaided transfer is minimized. MultiBoot Standard offers the essentials to meet your needs at an economical price. The standard model includes our secure semirigid plastic shell, offering excellent protection from footdrop contracture and full heel suspension. The laminated, washable synthetic fleece liner offers comfortable padded protection. Optional toe-plate extender and ambulation outsole are available to complete this budget-friendly option.